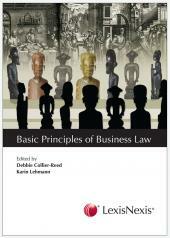 Legal Principles aims at providing a detailed, yet simplified reference to the general principles of the Law of Contract and specific contracts, other commercial transactions and corporate law. 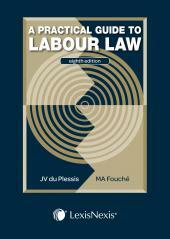 The purpose of this publication is to impact the current legal position, rather than to provide a critical and analytical approach to judgments and the view jurists. Present — Professor of Labour Law; Advocate of the High Court of SA; Senior CCMA Commissioner; accredited CCMA facilitator / trainer; conciliator and arbitrator for a number of private and public sector bargaining councils, as well as for Tokiso and Equillore. First position: Public Prosecutor (Department of Justice); then Lecturer, Senior Lecturer and Head of Department at PE Technikon (NMMU) until resignation in March 2007. Since 2000, the UP Law Clinic has been awarded the prestigious award for education innovation and has become one of the leading providers of legal aid in South Africa, assisting 3612 indigent clients in 2009. 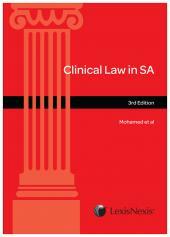 He was admitted as attorney of the High Court of South Africa in 1980 and was in private practice for the next twenty years, specialising in High Court litigation. He served on various professional bodies and regularly lectured (and still lectures) at courses and seminars presented by the Law Society.